This Pinterest Friday offering is a little different, because it doesn't come from a blogger, but instead, from Food Network. Paula Deen, specifically. I know, I know. Paula Deen. I'm sorry. Actually, no. 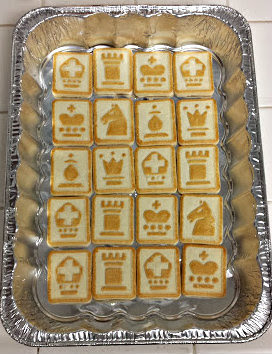 I was looking for a full-fat, super Southern banana pudding recipe for a work team BBQ I went to, and this delivered. I regret nothing. All of my teammates (most of whom are California natives) loved this pudding, and for good reason. It's delicious. One guy said his wife "doesn't eat sweets" as she chowed down on her second helping. It's really good, is what I'm saying. This recipe is really good, and really easy, and really crowd-pleasing if you're looking for something to bring to that potluck you forgot about until the night before. 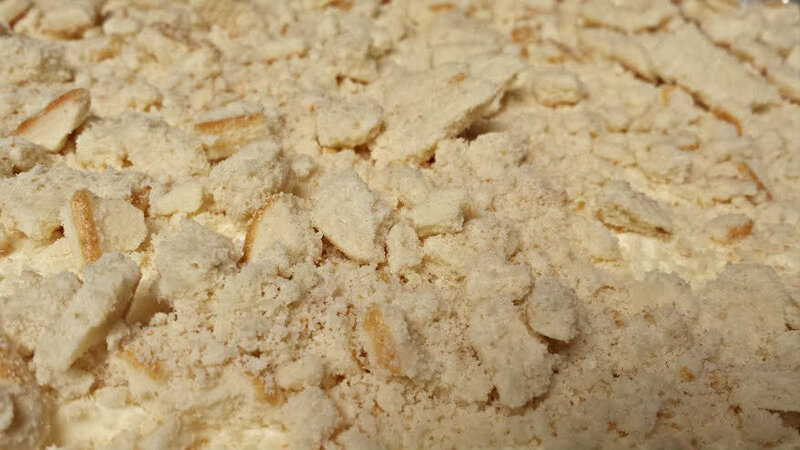 Line the bottom of a 13x9 dish with one bag of the cookies. 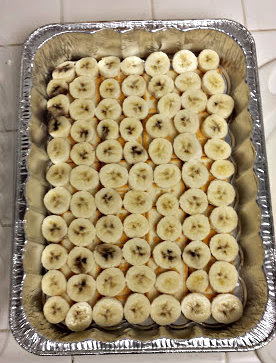 Layer the bananas on top of the cookies. 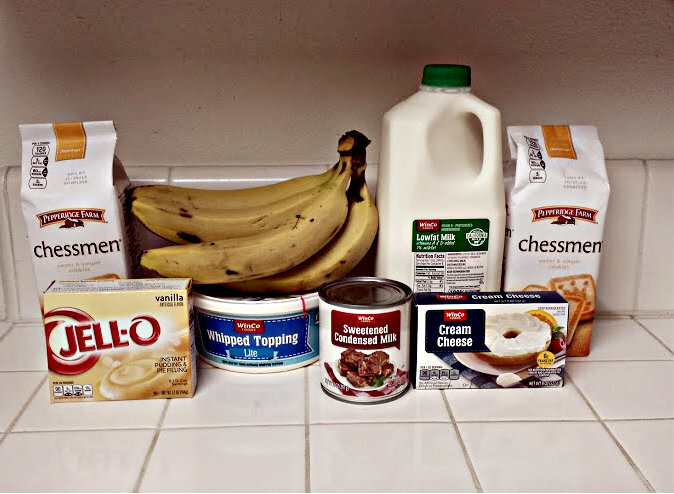 In a large mixing bowl, combine the milk and pudding mix and mix well. 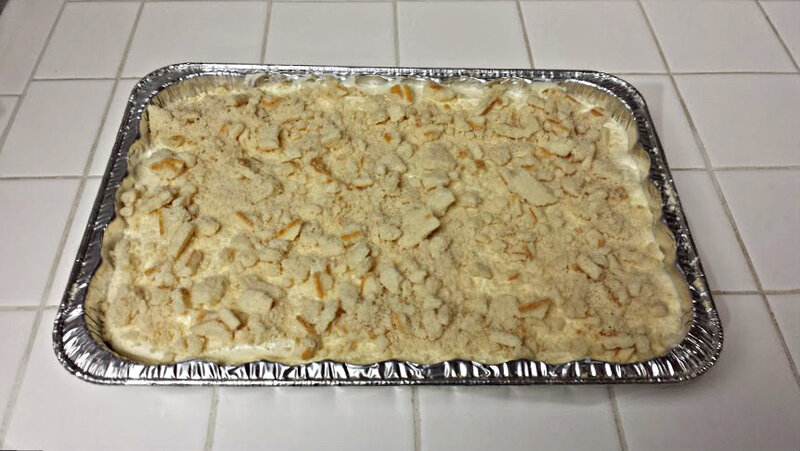 In another bowl, mix together the cream cheese and sweetened condensed milk until smooth. Fold in the whipped topping. 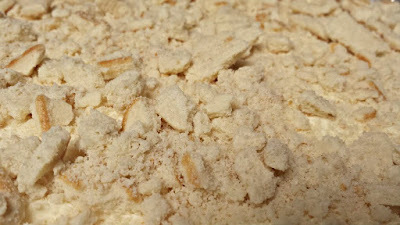 Add the cream cheese mixture to the pudding mixture and stir together until well-blended. Pour this mixture over the bananas and cookies. Crumble several of the remaining cookies and sprinkle on top of the pudding. 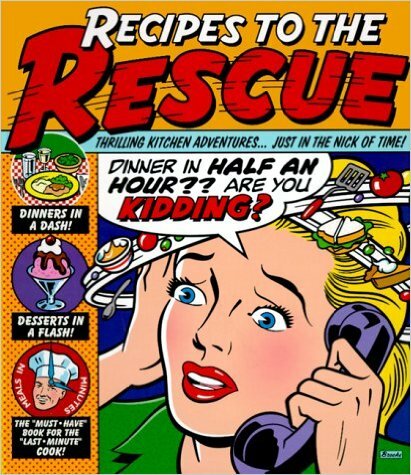 I picked up this cookbook at a used bookstore in Raleigh because it looks like a comic book. That's literally the only reason why. 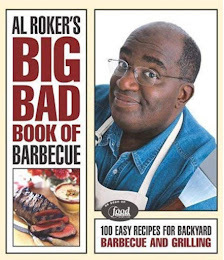 What I didn't realize until the day I made the first recipe, though, is that it's a book I should have been referencing all along. My commute is 40+ miles each way, so oftentimes, when I get home at the end of the day, I'm not into cooking. When I pulled this book out one evening, though, I realized it was all easy recipes and, at least in this case, I already had all the ingredients in my kitchen. Win/win! A note I'll make here is that this is a recipe that I modified the crap out of. Very, very, very rarely will I post a recipe I followed to a T; generally when I do follow it exactly, it's a dessert recipe. I'm better with winging it on non-dessert, non-baked items. I wonder occasionally if I should make more of an effort on these posts to note that no, this isn't the exact recipe from the book -- it's got some variations. Does it matter? Do you care? As I mentioned, and as you can see above, I made a lot of changes to this one. 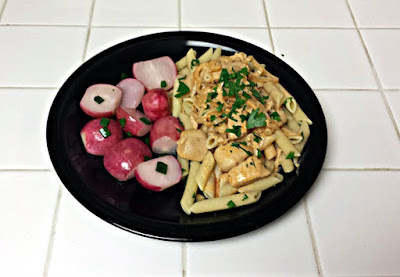 One of the biggest things is that it called for jarred garlic and frozen onions, and I don't generally use either one of those things. Other changes include adding red pepper flakes, using diced tomatoes instead of crushed tomatoes (and using something like Rotel for half of that), and excluding bacon. Yes, I said I excluded bacon. It didn't need it, I didn't have it, and I had the bacon grease to use for cooking the veggies anyway. 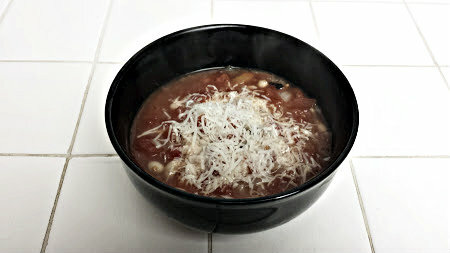 What are your thoughts, both on this soup and on changes in recipes posted? Add grease/oil to a medium saucepan and heat over medium-high heat. Cook onions and garlic until soft. 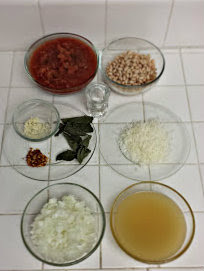 Add the tomatoes (with juice), red pepper flakes, beans, broth, and basil. Bring to a boil, then reduce heat and simmer uncovered for 7-10 minutes, stirring occasionally. I've mentioned before about the aspect of the food blog world that bugs me -- the fact that everything always looks perfect and is perfectly styled, and is perfectly delicious. I know people have weird stuff that happens while they're cooking, and I don't really get why people don't talk about it. I've had my share of mishaps (here are two), but what gets me more is the ones that may be OK to other people, but I don't like them. So here you go; enjoy your Brazen Hussy, if you're into that kind of thing. 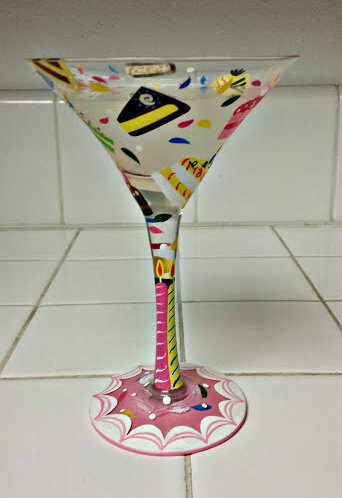 Strain into a festive birthday glass. I swear I didn't plan it this way, but when I was mapping out my blog posts for August, my Bartender's Bible week just happened to fall on the week of my brother's 30th birthday. Anyone who's been a Marine, or is related to a Marine, or who has been in the same room as one or more Marines knows that these ladies and dudes know how to throw back and party. And why wouldn't they? Johnny's been out on 4 or 5 tours (I'm a little embarrassed that I don't know the exact number, but I know it's 4 or 5), and when you get back from somewhere like Iraq or Afghanistan or wherever...it's probably time for a drink. Or a few drinks. 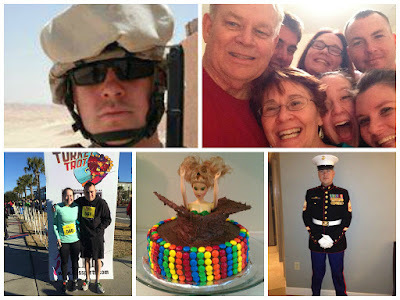 We'll be celebrating Johnny's 30th birthday this week at Sarah Cooks the Books, and I hope everyone will take the time to thank the military folks in their lives. My family is chock full of military dudes (representing almost every branch of the military), and I hope you'll have a drink this week in their honor. Put the salt in a saucer. 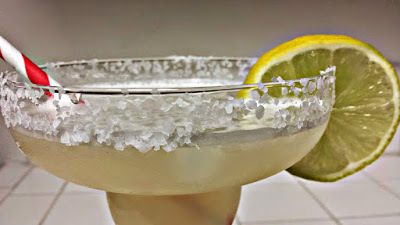 Rub the rim of a margarita glass with the lime wedge and dip the rim of the glass in the salt to coat. 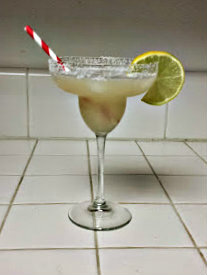 Set the lime aside. 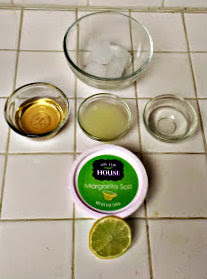 Pour the tequila, triple sec/Cointreau, lime juice, and ice into a blender. Blend well. 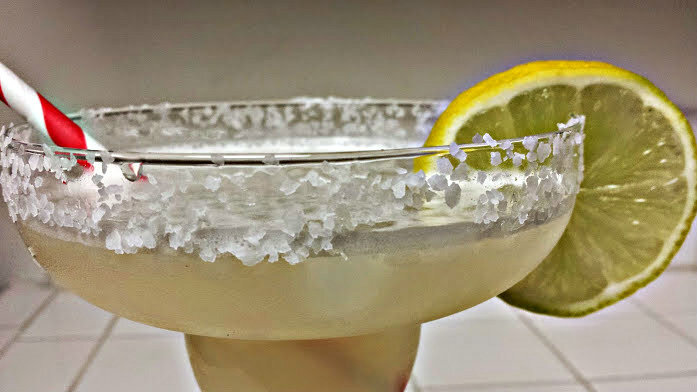 Pour into the glass and garnish with the lime wedge. I had some tomato sauce I needed to use up, and I thought I had some ground beef in the fridge. Obviously, lasagna came to mind. 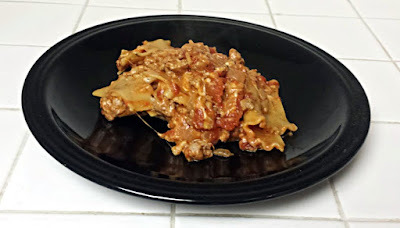 Since Pinterest is the place to be if you're looking for unusual recipes (namely, lasagna that doesn't take hours to make), I knew I'd find something there. I searched for "quick lasagna" and found this pin: 15-Minute Lasagna from Kevin & Amanda. I should tell you straight off that the 15-Minute part of it is an exaggeration. Once you've gotten all of your ingredients together, and once you've cooked your meat, and your onions, and your garlic, then it cooks for 15 minutes. Hence the title change. I knew I needed to go to the store for cheese, and I'm so glad I checked the fridge before I went, because the ground beef that was supposed to be the cornerstone of this whole meal...was no longer. I ended up buying ground turkey instead (have you seen how expensive beef is these days? ), and I'm really glad I made that change. It was delicious! I also doubled the amount of cheese the recipe called for, because of course I did. In a large skillet, cook your turkey and onion, stirring occasionally, over medium-high heat until the meat is browned. Drain the excess grease as necessary. Add the garlic and cook for 1 minute. Add the lasagna bits, tomatoes, tomato sauce, and hot water to the skillet. Add salt and pepper to taste. Stir to combine. Cover and simmer for about 15 minutes until the noodles are cooked, stirring occasionally to make sure the noodles don't stick to the pan. Remove from heat and stir in the cheese. I feel like every time I do a Rachael Ray recipe, all I can talk about is how inexplicable Rachael Ray is to me. That might sound like the beginning of something different, but no -- this recipe continues on the trend of The Inexplicable Rachael Ray-ness of it all. It's not often that I'll be cooking and Dennis will walk into the kitchen and look genuinely concerned, but this recipe brought out that face. "What are...those?" he asked. "Potatoes?" "Rachael Ray," I said, by way of an explanation. He understood. He kind of hovered for a couple more minutes, just watching the radishes cooking, and then finally said, "I've never had radishes except raw." I hadn't either, so this was going to be a fun (?) experiment for both of us. You'll be happy to know, though, that the dinner was really good! 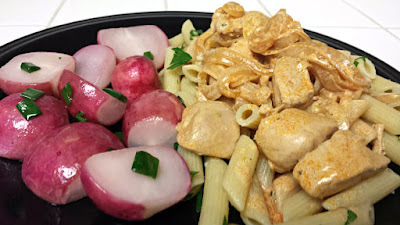 The radishes softened up just enough to be interesting, and they were a nice side to the chicken. 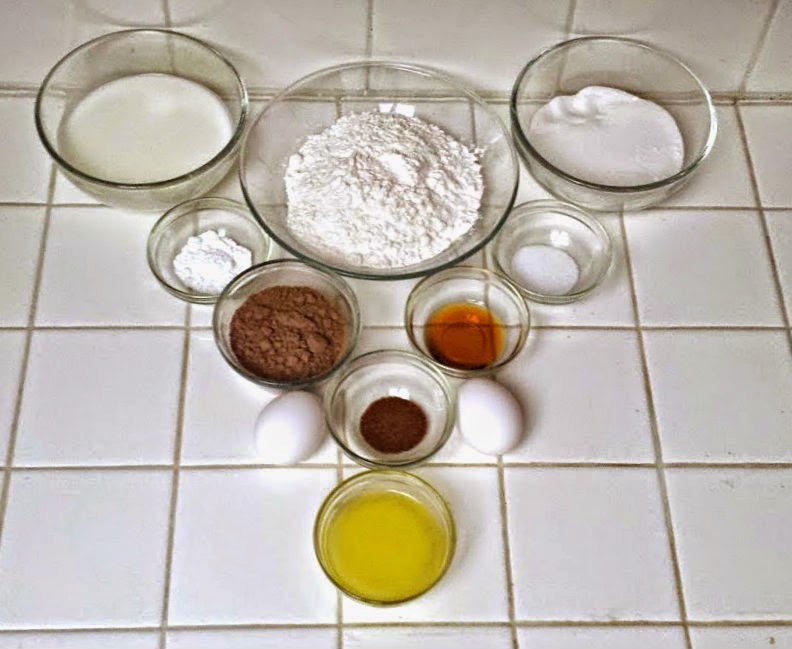 I had someone ask me this weekend how I choose recipes to make and post about, and I answered kind of vaguely, because "kind of vaguely" actually is how I make my recipe choices. However, this one had a specific reason in that the little cutesy sentence under the recipe said "Just like Grandma might have made for you, if she were Hungarian." Being a descendant of a Hungarian Grandma, I thought it was apropos. Cook noodles according to package directions. After they're cooked, put them back into the warm pot with 1 Tbsp. butter and half of your parsley. Heat the olive oil in a large skillet over medium-high heat. Add the chicken, and brown for 4-5 minutes. Add the garlic and onions and cook for another 2 minutes or so. Season everything with salt, pepper, and paprika, then add the chicken stock and stir. Reduce the heat to low. Add 1 Tbsp. butter to a small skillet and melt over medium-high. Add the radishes and cook for 5 minutes or so. 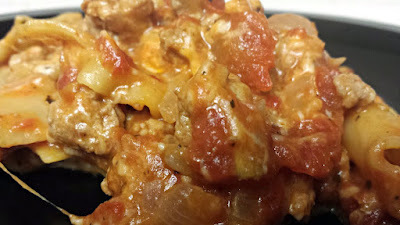 Turn the heat off under your chicken and stir in the sour cream. Add the green onions to the radishes and turn the heat off under these as well. 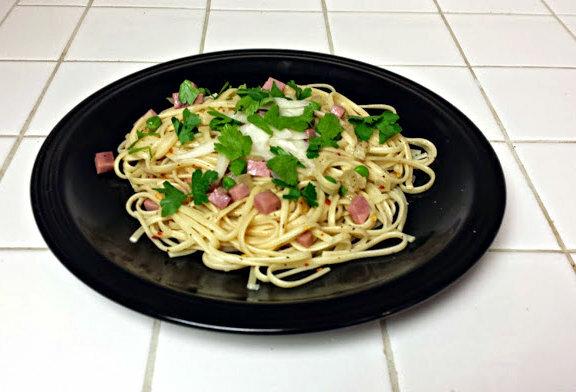 Plate your noodles, then top with the chicken, sauce, and remaining parsley. Serve the radishes on the side. Rachael Ray really confuses me, you guys. She confuses me in the way that the epidemic of people who don't know the difference between you're and your confuses me, and how Donald Trump's popularity in the Republican nomination race confuses me. Truly. Madly. Deeply. 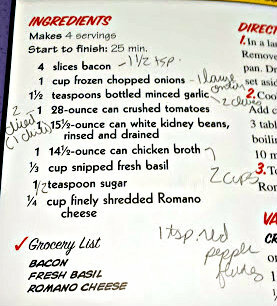 Clearly, I've made many of her recipes before (check out the list at the bottom). One of her cookbooks is special to me because my aunt bought it for me the Christmas she died, but for whatever reason, I keep racking up these books. I don't pretend to understand it. Please forgive me. This particular recipe confuses me even though I'm obviously the person who picked it. At the time I picked it, I thought, "Beans in pasta! How strange! How interesting!" So I bought all the ingredients for it without reading through the recipe, and when I started to make it, I realized it wasn't beans in pasta, but truly beans with pasta. Is it just me? Is that super weird? I made it anyway (since, truth be told, I was halfway through making it before I actually realized that the spinach/beans weren't mixed into the pasta. Read your recipes, kids! ), and it's weirdly good. The flavors work, even though pasta with a side of beans is weird, y'all. I did end up mixing it all together on my plate, and it was odd, but tasty. Do whatever you like, but know before you start that the beans and the pasta are two separate, unrelated entities. They're like you and that random hippie chick from SoCal that you found yourself rooming with freshman year. Strange, but it unexpectedly works. So what do you guys think? 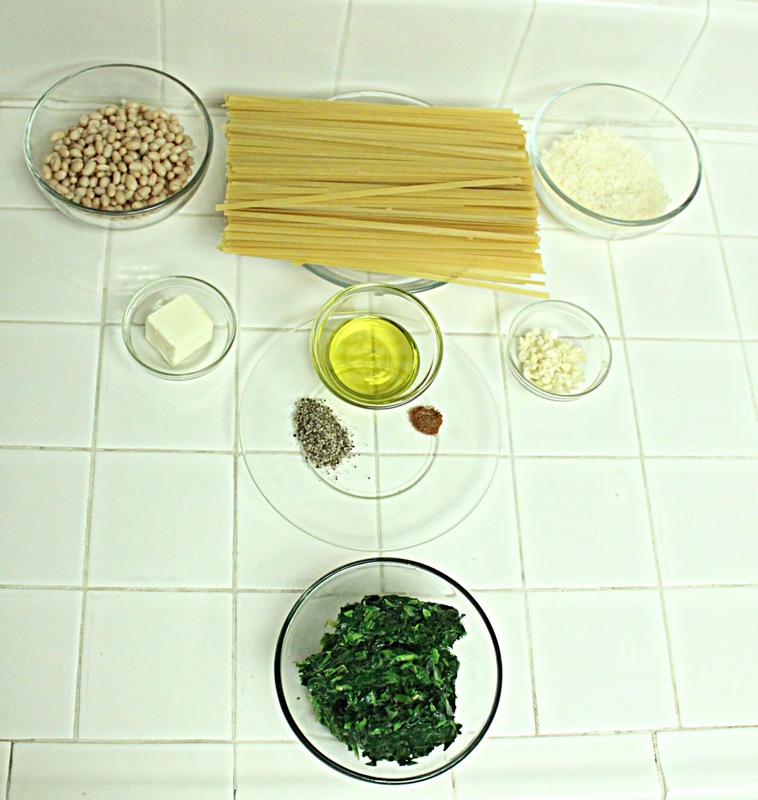 Pasta with a side of beans: weird or nah? Cook pasta according to package directions. You'll be saving about 1/4 cup of the cooking water for use later. While the pasta is cooking, melt the butter in a large pan over low heat. 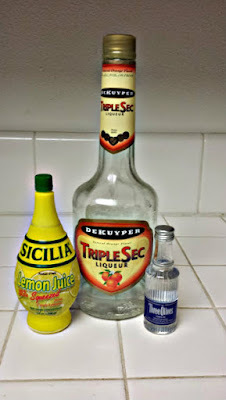 Mix with 1 Tbsp. of the olive oil and the pepper. Keep warm on low until the pasta is done. 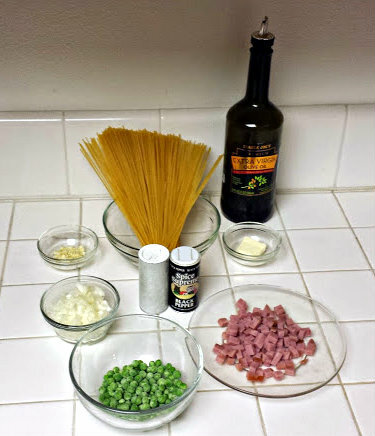 When the pasta is ready, take the 1/4 cup cooking water out before draining, and add some water as needed to the butter mixture. After you've drained the pasta, toss with the sauce. Add the cheese little by little until it's incorporated into a creamy sauce. Add more water if needed. Season with pasta and drizzle with 2 Tbsp. of the olive oil. Defrost the spinach in the microwave for 6 minutes on high. (Carefully!) wring out the water. Add the remaining 2 Tbsp. of olive oil and the garlic to a small pan and heat over medium heat. Cook for 2 minutes, then add the beans. Add the spinach to the pan and combine with the beans. Season with nutmeg, salt, and pepper. 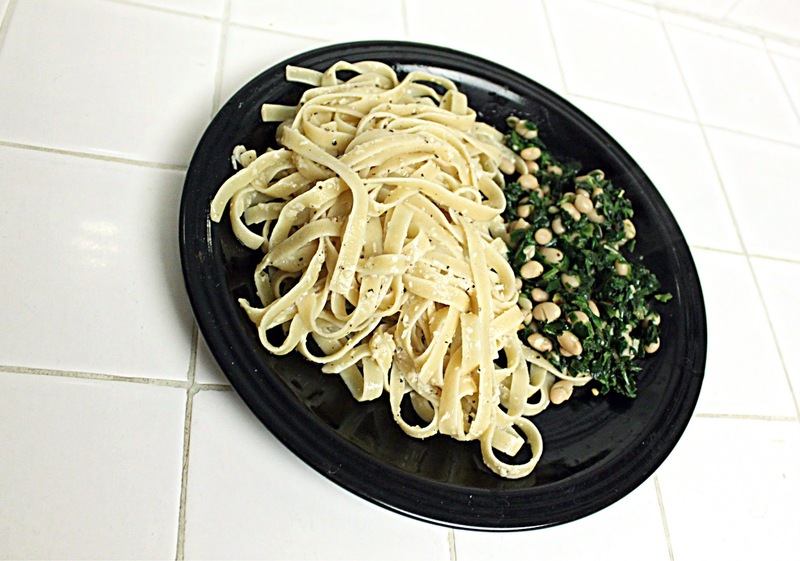 Serve spinach and beans alongside the pasta. I started on a new team at work back at the end of January. I'd decided at that time that what I really needed to fit in/make people like me was some baked goods (naturally). I found these Chocolate Donuts with Blood Orange Glaze on Heather Christo's blog, and having tried blood oranges for the first time shortly before that and discovering I loved them, I decided this was going to be the magical donut to cement my place on the team. 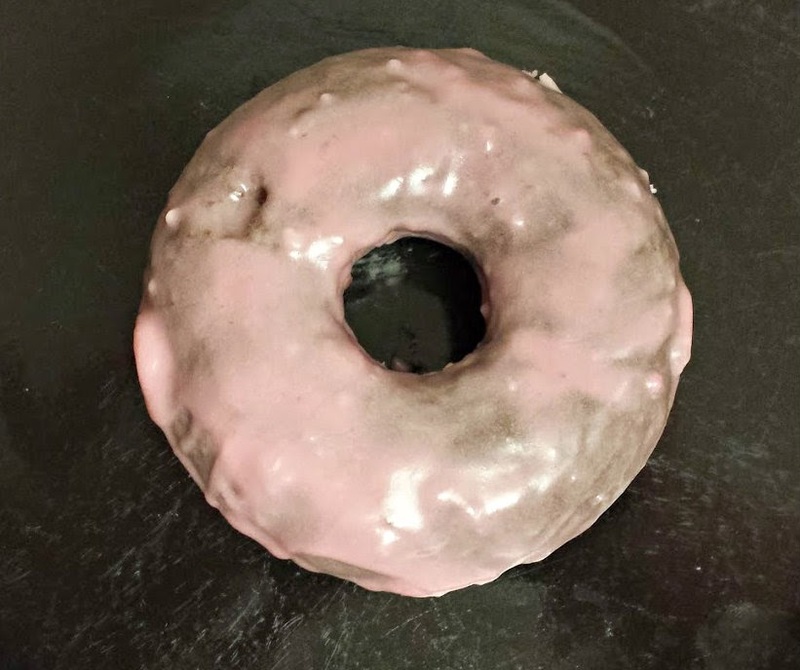 One of the things I ran into with this donut was that, if you look at the original recipe (which I followed precisely, except for using light corn syrup instead of regular -- that could potentially have been my problem, and I'm just remembering that now, 6 months later! ), the glaze is nice and thick. Mine, as you can see, was more runny, and it never truly fully hardened. I'm not sure why this is, but either way, the donuts are delicious. Go ahead and make these for your fellow cubicle-dwellers -- they'll be a big hit! Preheat your oven to 325°F. Spray your donut pan thoroughly with cooking spray. In a medium-sized bowl, combine all the dry ingredients. In another bowl, combine the eggs, vanilla, and buttermilk. 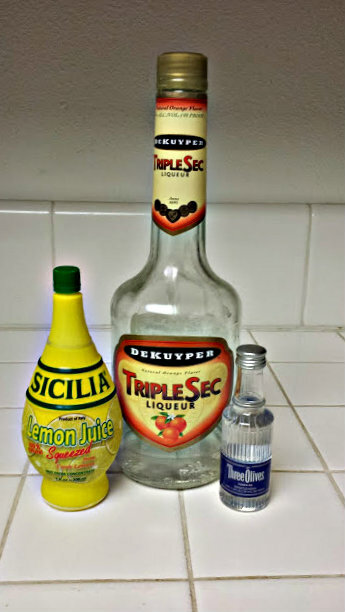 Combine this mixture with your dry ingredients. Add the melted butter and mix until a batter forms. 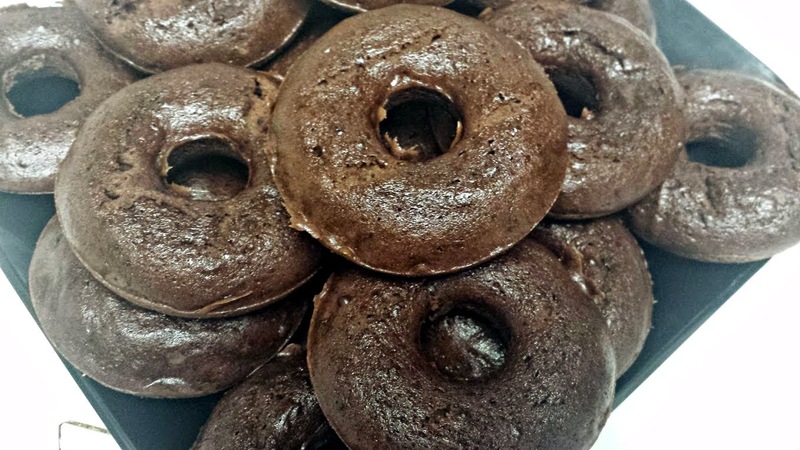 Put the batter in your donut pan and bake for 10 minutes. Put the donuts on a rack and let them cool. 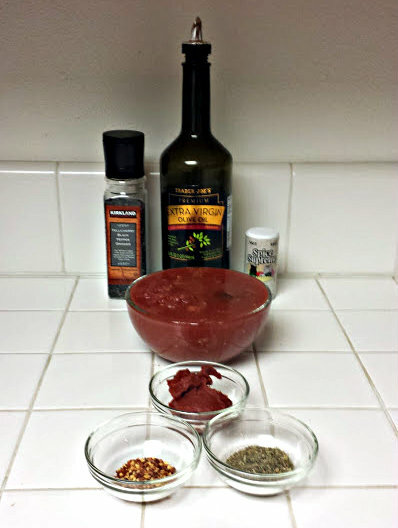 Mix together all glaze ingredients. 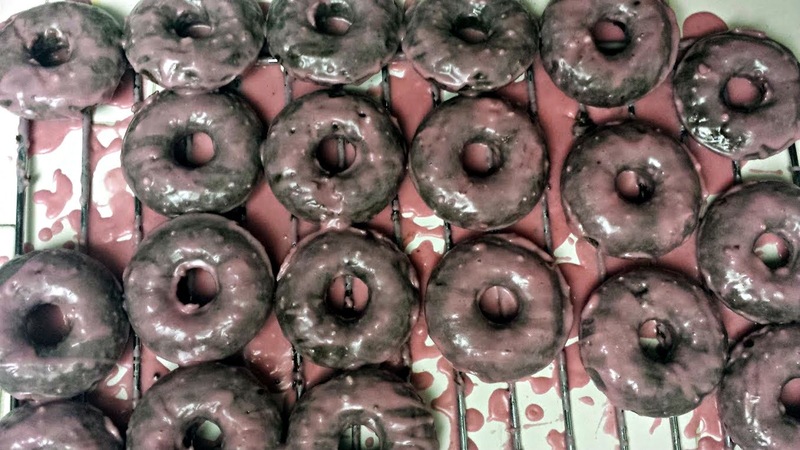 Once your donuts are cool, dip them in the glaze. I dipped them 4 times, and the glaze was still weird, so your mileage may vary. Eat immediately or being them into work to become everyone's new best friend. When you get married/are in a relationship/have other people to cook for, you generally figure out pretty quickly the things your cook-ee likes and doesn't like. Generally. Dennis, for example, doesn't much like cooked beets, cucumber, or cherry tomatoes. But then there are peas. Peas, to Dennis, are apparently a sign of the apocalypse (apeacalypse? ), something to be feared, loathed, and and avoided at all costs. While I'll happily sit down and eat a big bowl of peas (salted), I'm pretty sure Dennis would rather just sit down and eat a spoonful of the salt. Not a fan of the peas, clearly. Imagine my surprise when I settled down on the couch with my dinner (to watch, no lie, Real Housewives of New Jersey), and Dennis comes wandering through the front door, his meeting rescheduled. "Something smells good," he said. "Uh, yeah," I said. "I made pasta. 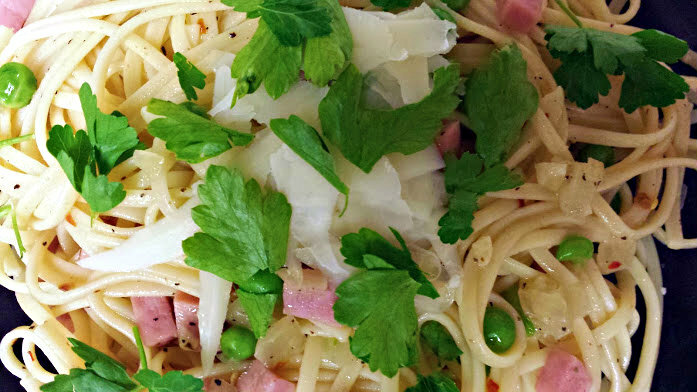 The pea pasta." He went to the stove, got a bowl, and sat down to eat and question my television choices. I watched him eat for a second and ventured, "There are...peas in that." He nodded. "It's good!" he said. "Really good." He finished that bowl and then got more. Additionally, I told Dennis I was writing about this recipe, and I mentioned the peas, and his exact words re: peas were, "Yuck. Ew. Ew ew ew. Bleeeeh." My magic theory remains. Cook pasta according to package directions. 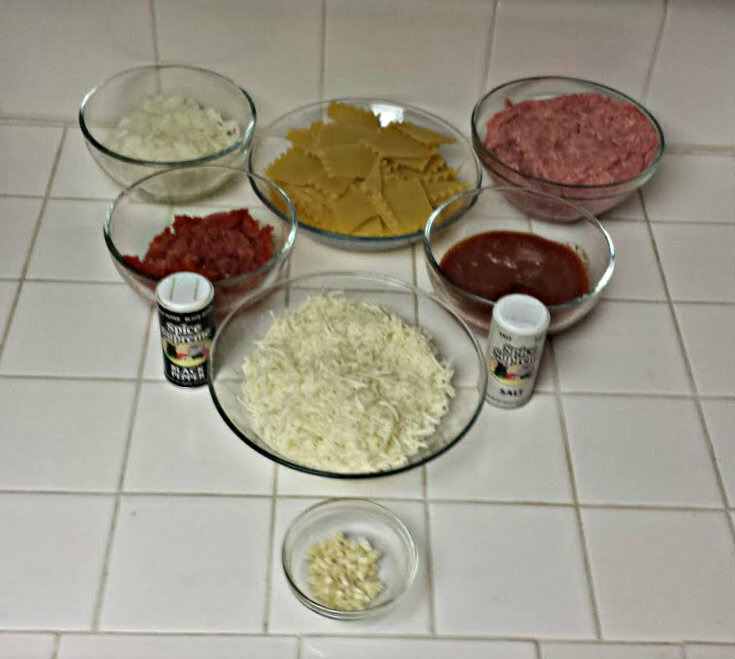 (Try to time it so your pasta and sauce are done at the same time.) Make sure to set aside 1 cup of the cooking water. Heat the oil over medium heat in a medium-sized skillet. Add onion and garlic and cook 3-5 minutes until soft. Add the butter and melt it down. Add the peas and the ham and cook, stirring occasionally, until heated through, about 3 minutes. Reduce heat to low to keep warm. Drain the pasta and return to the pot. Add the sauce, salt, and pepper. 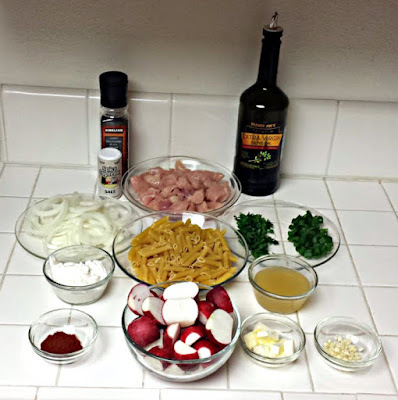 Toss the pasta and add enough of the cooking water to make a light sauce. I'm a bit of a reality TV junkie. Generally, I watch food-related reality shows, but every now and then, another one will squeak through. I watched the entirety of The Real Housewives of Beverly Hills available on Hulu not terribly long after I moved to California, because why wouldn't I? Incidentally, the only reason I turned that on was because my friend Sarah and I had just finished all of the available America's Next Top Model episodes, and I wanted something trashy. And then I got hooked. Once I ran out of Beverly Hills episodes ($40,000 on a 4-year-old's birthday party? Really, Taylor? ), I moved on to The Real Housewives of New Jersey, because I was still on the hunt for trashy, and it would seem I've found it. One of the housewives, Teresa Giudice, who you may recognize from all the tabloid covers seeing as to how she's in prison right now for many varieties of fraud and tax evasion, has written several Italian cookbooks. And you guys? They're not bad. I swear, I sat down and read this one like a regular book because it had so much interesting stuff about herbs and pasta and the like. 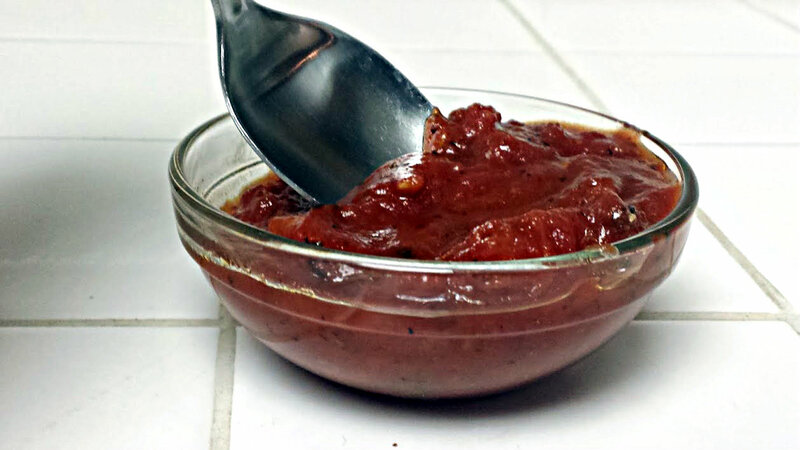 This sauce isn't fancy, and may not even be considered "Italian" by many, but man, it's good. I enjoy making my own pasta sauce in lieu of that from a can, just because it sounds cool. ("Pasta for dinner? Sure. Let me whip up some sauce!") Serve it with your favorite pasta or gnocchi. Add the oil to a large saucepan and warm over medium heat. Add the tomatoes, their juices, and the tomato paste and stir well. Heat until just at a boil. Reduce the heat to medium-low and add all the spices. Stir. Simmer to blend the flavors, about 10 minutes.